Charlestown, Nevis–( Thursday, August 18th, 2011) Nevis Premier the Hon. Joseph Parry, outlined several initiatives taken by his Nevis Reformation Party (NRP)-led Nevis Island Administration (NIA) to confront the many challenges related crime on Nevis. 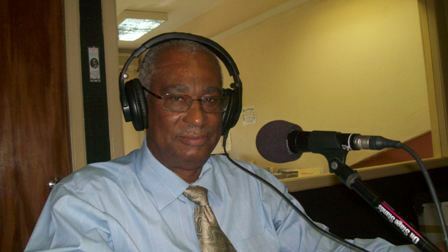 He was at the time speaking on the weekly radio talk show “In Touch With The Premier” on Tuesday. He said the Administration was playing its part to ensure that the number of police officers, police vehicles and accommodations had increased over the years and at the insistence of the Premier and his Ministry, Officers had been outfitted with modern and comfortable barracks and police stations. According to the Premier, his Administration had pushed for heighten mobility which had shortened the response time and allowed the Police to maintain a visible presence in the community. Premier Parry expressed the hope that the ongoing improvements to the barracks and the Police stations would build moral and more effective law-enforcement personnel stationed in the Nevis Police Division. He also spoke of the Nevis Island Administration’s future plans for the Nevis Division. “The Nevis Island Cabinet has been discussing the idea of a Police Station in St. John’s Parish. There is a need for an additional Police Station as there is no other police station between Charlestown to Gingerland,” the Premier said. In addition to policing efforts, the Hon. Joseph Parry pointed to the ongoing social programmes by the Minister of Social Affairs, the Hon. Hensley Daniel which included the overseas training in Trinidad for youths in auto mechanics, plumbing and electrical. “The Social Affairs Department continues to offer training for young people, mentorship programmes and parenting training programs all in the effort to develop good ethics and positive values among young people on Nevis,” said the Premier. Mr. Parry concluded by stating that it was his projection that the situation in Nevis as it related to criminal activity would be curbed, as his government was doing all that was possible to eradicate criminal offenses on Nevis.